We have emerged as an eminent enterprise in this domain, involved in offering Hoist Crabs. Our offered hoist crabs are developed at our manufacturing unit by utilizing progressive techniques and top notch material keeping in mind the set norms of industry. Along with that, our hoist crabs can be customized according to the market preferences & customer’s specifications. 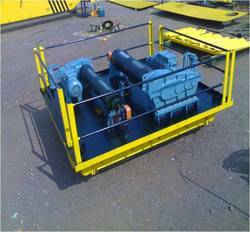 Customers can avail these hoist crabs from us at industry leading rates in a stipulated time period. We are the leading manufactures and suppliers of Hoist Crabs in Coimbatore, Mettupalayam, Salem, Tirupur, Pollachi, Trichy, Salem, Erode, Madurai, Tirunelveli , Chennai, Nagarkovil, Kanniyakumari, Tuticorin, Namakkal, Vellore,Theni, Dindugul, Ooty, Kunoor, Valparai, Kodaikanal, Kannur, Kozhikode, Malappuram, Palakkad, Wyanad, Kasargod, Kalpatia, Thrissur, Eranakulam, Iduki, Kootayam, Alapuzha, Kollam, Thiruvananthapuram, Patmanathitta, Kurnool, Anantapur, Cuddapah, Nellore, Chitoor, Prakasam, Guntur, Krishna, West Godaveri, East Godaveri, Vishakapattinam, Chikmangalur, ChitraDurga, Hassan, Tumkur, Mandya, Bangalore, Kodagu, Mysore, Kolar, Tamilnadu, Karnataka, Andrapradesh, Kerala and India..
With our years of industry experience, we are able to successfully cater to the variegated demands of our clients by offering Industrial Lift. Our offered industrial lifts are treasured by our patrons for its fine finish & high performance. 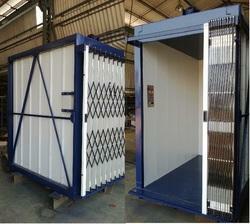 These industrial lifts are inspected in terms of quality so as to dispatch a defect free range. As well, we are giving these industrial lifts to our customers on diverse specifications as per their needs in a committed time frame. 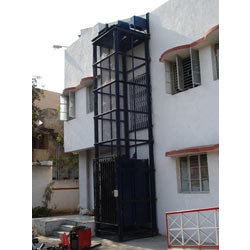 We are the leading manufactures and suppliers of Industrial Lift in Coimbatore, Mettupalayam, Salem, Tirupur, Pollachi, Trichy, Salem, Erode, Madurai, Tirunelveli , Chennai, Nagarkovil, Kanniyakumari, Tuticorin, Namakkal, Vellore,Theni, Dindugul, Ooty, Kunoor, Valparai, Kodaikanal, Kannur, Kozhikode, Malappuram, Palakkad, Wyanad, Kasargod, Kalpatia, Thrissur, Eranakulam, Iduki, Kootayam, Alapuzha, Kollam, Thiruvananthapuram, Patmanathitta, Kurnool, Anantapur, Cuddapah, Nellore, Chitoor, Prakasam, Guntur, Krishna, West Godaveri, East Godaveri, Vishakapattinam, Chikmangalur, ChitraDurga, Hassan, Tumkur, Mandya, Bangalore, Kodagu, Mysore, Kolar, Tamilnadu, Karnataka, Andrapradesh, Kerala and India..
With the assistance of our meticulous workforce, we manufacture, trade and supply an extensive range of Industrial Lifting Equipment. This lifting equipment is designed by contemporary technology and finest quality material in agreement with set industrial norms. In addition, the travelling offered by us is lifting equipment is available in numerous specifications from us as per the market preferences. 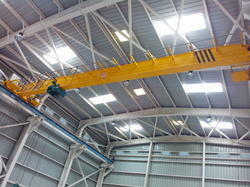 Our valuable patrons can avail this lifting equipment from us at competitive price. We are the leading manufactures and suppliers of Industrial Lifting Equipment in Coimbatore, Mettupalayam, Salem, Tirupur, Pollachi, Trichy, Salem, Erode, Madurai, Tirunelveli , Chennai, Nagarkovil, Kanniyakumari, Tuticorin, Namakkal, Vellore,Theni, Dindugul, Ooty, Kunoor, Valparai, Kodaikanal, Kannur, Kozhikode, Malappuram, Palakkad, Wyanad, Kasargod, Kalpatia, Thrissur, Eranakulam, Iduki, Kootayam, Alapuzha, Kollam, Thiruvananthapuram, Patmanathitta, Kurnool, Anantapur, Cuddapah, Nellore, Chitoor, Prakasam, Guntur, Krishna, West Godaveri, East Godaveri, Vishakapattinam, Chikmangalur, ChitraDurga, Hassan, Tumkur, Mandya, Bangalore, Kodagu, Mysore, Kolar, Tamilnadu, Karnataka, Andrapradesh, Kerala and India..
We are leading manufacturers and suppliers of Material Handling Lifts to our clients. Material handling lifts ( Out door lifts) are fabricated using premium quality raw material and designed using latest CAD facility to suit the clients requirements. Our engineers and researchers carefully study and do detailed analysis of clients requirements before deciding the suitable design. This enable us to reduce cost by designing optimum material handling liftsdesigns, minimum crane structural weight, wheel loads headroom and clearances. We are the leading manufactures and suppliers of Material Handling Lifts in Coimbatore, Mettupalayam, Salem, Tirupur, Pollachi, Trichy, Salem, Erode, Madurai, Tirunelveli , Chennai, Nagarkovil, Kanniyakumari, Tuticorin, Namakkal, Vellore,Theni, Dindugul, Ooty, Kunoor, Valparai, Kodaikanal, Kannur, Kozhikode, Malappuram, Palakkad, Wyanad, Kasargod, Kalpatia, Thrissur, Eranakulam, Iduki, Kootayam, Alapuzha, Kollam, Thiruvananthapuram, Patmanathitta, Kurnool, Anantapur, Cuddapah, Nellore, Chitoor, Prakasam, Guntur, Krishna, West Godaveri, East Godaveri, Vishakapattinam, Chikmangalur, ChitraDurga, Hassan, Tumkur, Mandya, Bangalore, Kodagu, Mysore, Kolar, Tamilnadu, Karnataka, Andrapradesh, Kerala and India.. Looking for Industrial Lifts ?